Atrium Mall, opened on 23 March 2010, is the first and largest shopping centre in Arad, and the most popular and the most visited in town. Arad, the capital city of Arad county, is an important industrial centre, transportation hub, and entrance and crossing point for everyone entering Romania from western Europe. The city hosts two universities and is the third largest city in western Romania, making it the 12th largest city in Romania, with a total population of more than 160,000 in the city and another 240,000 in the county. 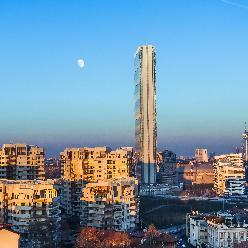 The city is considered one of Romania's most dynamic cities due to a higher proportion of the 15 to 59 year old population segment, in addition to its wide variety of ethnic and religious backgrounds. Atrium Mall is the prime shopping centre in town in terms of number of visitors & turnover, shopping and leisure opportunities for customers, and location. 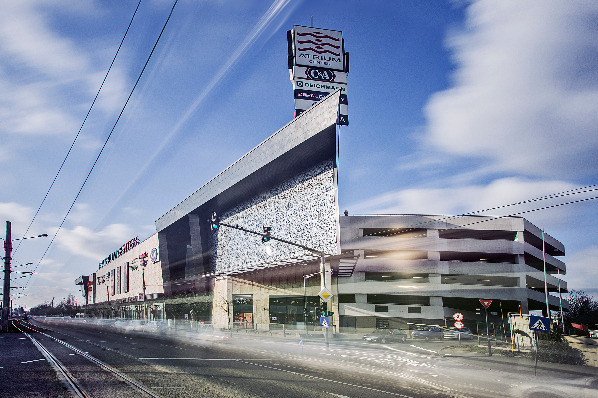 The shopping centre is organised on three levels and is built on a triangular unique structure, with a total built area of 67,500m², including 28,793m² GLA. 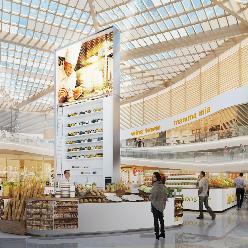 Atrium Mall was designed to offer a wide range of shops, entertainment, a food court, services, and supermarket areas. The Mall comprises more than 110 retail units and 1,020 parking spaces over six indoor parking levels. The shopping centre is just a short five minute walk from the city centre, situated right next to the main train station and the main bus station. It is easily accessible from any corner of the city, either by car or by public transport. In the four years of its operation, it has become the primary shopping and entertainment choice for the people of Arad.